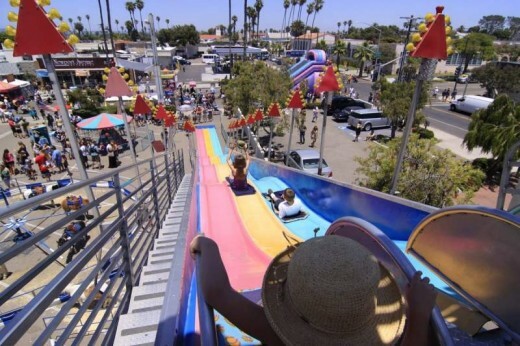 Summer is officially here and what better way to celebrate than to get outside and enjoy one of these outdoor activities this weekend in San Diego! 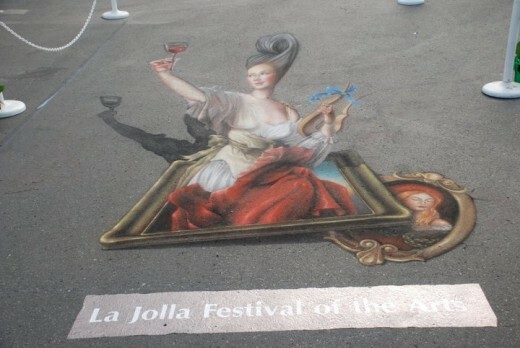 The festival takes place June 23rd & 24th on the campus of UC San Diego at Warren Field. The “La Jolla” is one of the most prestigious juried art shows in the country and will once again feature over 190-award winning artists, along with live chalk art creations, art performances, delicious and healthy cuisines, adult beverage libations and live entertainment throughout the weekend. Thousands flock to Newport Ave. and surrounding areas each year on the 4th Saturday in June. They come for the live music and entertainment, unique vendors, talented artists, thrilling rides, refreshing beer garden, and so much more! It’s a free festival, with fun for the entire family! Come to the Zoo when the animals come alive. The extended hours of Nighttime Zoo – from 9:00 am until 9:00 pm – give guests more time to visit the more than 4,500 rare and endangered animals at the Zoo. 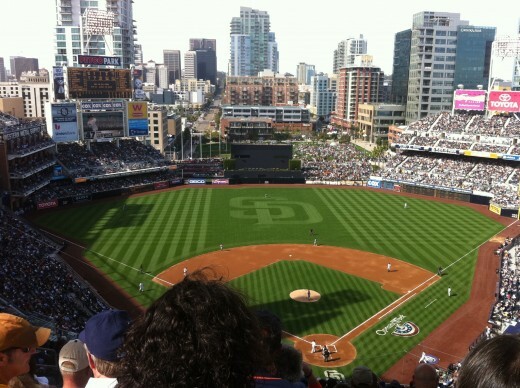 The Padres take on the Mariners at PETCO Park June 22-24. Friday night’s game features fireworks and the Ultimate Cookout. Bring the kids on Sunday for Kids Run the Bases and US Army Appreciation. Bayside concerts at Coronado Ferry Landing. Pack a blanket and head over the bridge to Coronado for the Coronado Ferry Landing’s free concert series. 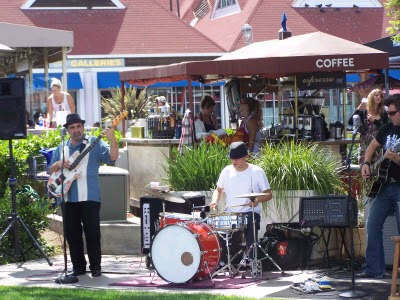 Catch Dixie Jazz Katz on Saturday from 2:00 – 5:00 pm or Velvet Cafe on Sunday. What do you have planned for the weekend in San Diego? This entry was posted in Arts & Culture, Attractions, Golf & Sports, Outdoor Adventures, San Diego Events and tagged coronado, downtown, family, festival, free, fun, la jolla, live music, north county, ocean beach, Padres, street fair by Suzzanne. Bookmark the permalink. I love to buy books, but seldom actually finish one. I like african violets, my iPhone, and everything that smells like lavender. I am seriously adverse to the cold and am known to bring a sweatshirt to the beach in the summer. I have two kids – a boy whose 10 and a girl 12. It would start by having breakfast somewhere near the ocean – either Pannikin in Encinitas or Beach Grass Café in Solana Beach. Then we would head to the beach hang out for a few hours, head home and then catch a concert in the park in Balboa Park. We love riding our bikes around town. There are great places to ride in San Diego that kids can handle – Coronado Island, Point Loma or the boardwalk in Pacific Beach are just a few. Depends on the day, a good burger and craft brew can really hit the spot, but I would probably end up ordering linguine and white wine. The San Diego Zoo’s Nighttime Zoo sounds interesting. A nighttime visit would mean it’s a lot more cooler, although it might seem a little bit scarier for the kids. Not scary at all! Remember, it’s light now until almost 8:30. We went last weekend, saw the wonderful Chinese Dragon Acrobats, the stilt walkers, and lots of zoo animals who were a little more awake in the cool of evening. And don’t miss out on the Lion at dusk – he stood on his rock and roared for a few minutes (same treat at the Safari Park).